Formed at Deir-el-Belah in Palestine as a fighter unit on 1 August 1917, it was equipped with a variety of types, which it used to support General Allenby's campaign against the Turks. By July 1918, the squadron had standardised on the SE5A and these were used until February 1919 when the squadron was re-equipped with Bristol F2Bs in Egypt, where the unit had moved in October, disbanding there on 1 February 1920 when it was renumbered No 14 Squadron. The squadron reformed on 1 October 1923 at Duxford, initially equipped with a single flight of Grebes, with a flight of Snipes being added on 1 April 1924 and a third flight, composed of Siskins, in June. In January 1925, the Grebes and Snipes were retired, the squadron being wholly equipped with Siskins, which were retained until January 1931, when Bulldogs arrived. Gauntlets became the squadron's last biplane equipment in May 1936 as it became the first RAF squadron to operate the Hawker Hurricane in January 1938. Unlike many other Hurricane units, 111 operated from Britain during the early months of World War Two although following the German invasion, it sometimes operated from France forward airfields. Having covered the Dunkirk evacuation, it took part in the Battle of Britain until early September 1940, when it was sent to Scotland to rest and re-equip. A return south in July 1941 allowed the squadron to carry out offensive operations over France, which it continued until September 1942, when it was earmarked for overseas service. It arrived in Gibraltar in early November 1942 and following the successful invasion of North Africa it moved into Algeria five days later. It provided air cover to the 1st Army during the Tunisian campaign and then moved to Malta, from where it covered the Allied landings in Sicily. From Sicilian bases it covered the Italian landings, moving onto the mainland in September 1943. In preparation for the invasion of Southern France the squadron moved to Corsica in July 1944, covered the landing and then moved to French airfields to support the ground forces until returning to Italy in October. For the rest of the war it carried out fighter-bomber operations and then joined the occupation forces in Austria, eventually disbanding on 12 May 1947. In order to keep the squadron number active it was briefly linked to No 66 Squadron between 11 February 1949 and 1 November 1953. 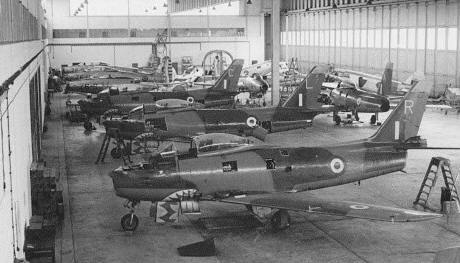 However, on 2 December 1953 the squadron was reformed in its own right as a fighter unit equipped with Meteor F Mk 8s at North Weald. Hunters replaced the Meteors in June 1955 and during this period it provided one of the RAF's most famous aerobatic display teams, The Black Arrows. 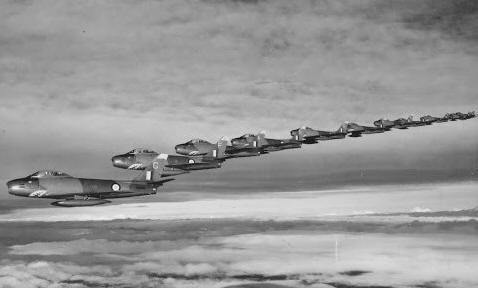 In 1958, the squadron set a record which still stands when it performed a formation loop consisting of 22 aircraft. 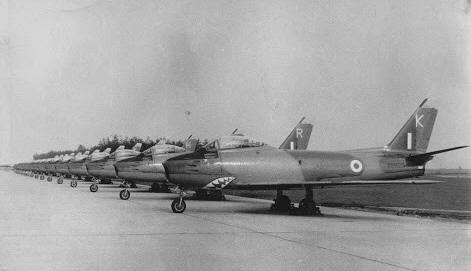 In April 1961, the squadron re-equipped with Lightnings at Wattisham, where it had been based since 1958 and theses continued in use until September 1974. On 1 July 1974 No 111 (Designate) Squadron began forming at Coningsby on the Phantom FGR Mk 2. When this unit was fully worked up, the Lightning unit disbanded on 30 September 1974 and the following day the numberplate was transferred to the Phantom unit at Coningsby. In 1975 the squadron moved to Leuchars and in January 1978 Phantom FG Mk 1s began to arrive and by October 1979 the FGR Mk 2s had left the squadron. Further re-equipment came in January 1990, when the squadron converted to Tornado F Mk 3, which it operated at Leuchars until disbanding on 22 March 2011, when the Tornado F Mk 3 was retired from service. First formed on 30 July 1917 at Throwley in the home defence role, equipped initially with Pups, it received Camels in 1918. 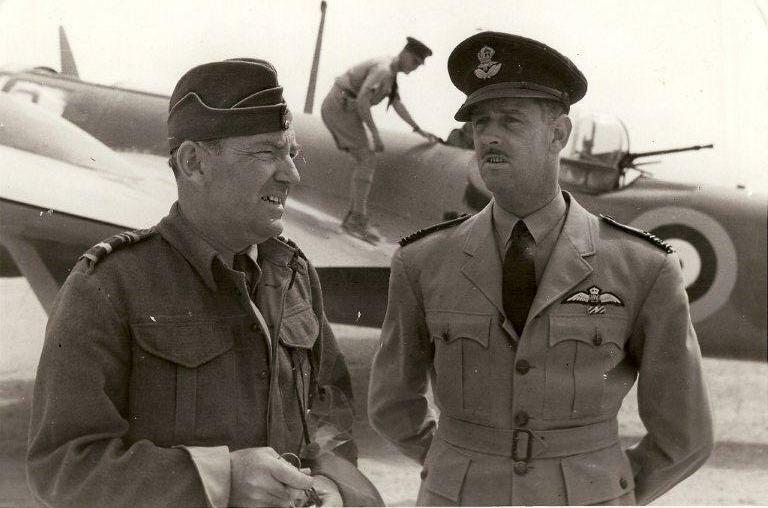 One of its first commanding officers being Major Brand (later AVM Sir Qunitin), who would become one of Fighter Command's Group Commanders during the Battle of Britain. The squadron disbanded on 13 June 1919. The squadron was reformed aboard the aircraft carrier HMS Argus, on 16 May 1939 and it arrived in Egypt ten days later. Gladiators arrived the following month and were immediately in action following the Italian declaration of war on 10 June 1940. One flight was also detached to the Sudan at this time, but was taken over by No 14 Squadron on 30 June. The squadron joined British forces defending Greece in January 1941, first supplying air cover to and offensive support over Albania and later in the air defence of the Athens area. With the collapse of the Allied forces in Greece, the unit withdrew to Crete and then back to Egypt. In July 1941 the squadron began receiving the Tomahawk, which it now used in both the fighter and fighter-bomber role in support of the 8th Army. In December 1941 the Tomahawks were replaced by the Kittyhawk, which it used for the remainder of its time in the desert. Following the invasion of Sicily the squadron moved there in July 1943 and onto the Italian mainland in September. In June 1944 the Kittyhawks were replaced with Mustang IIIs and from February 1945, Mustang IVs. 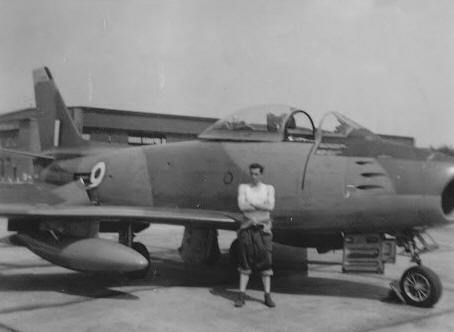 The squadron remained in Italy as part of the occupying forces until disbanding on 30 December 1946 at Treviso. 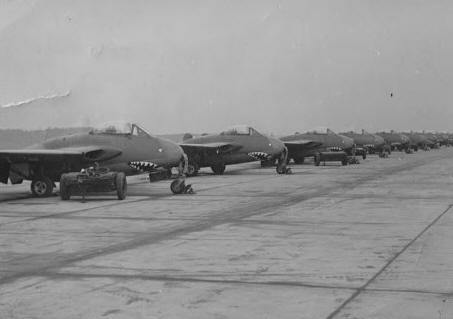 The squadron reformed at Fassburg in Germany on 12 May 1951 in the fighter-bomber role, equipped with Vampire FB Mk 5s, but on 7 March 1952 it re-located to Jever. 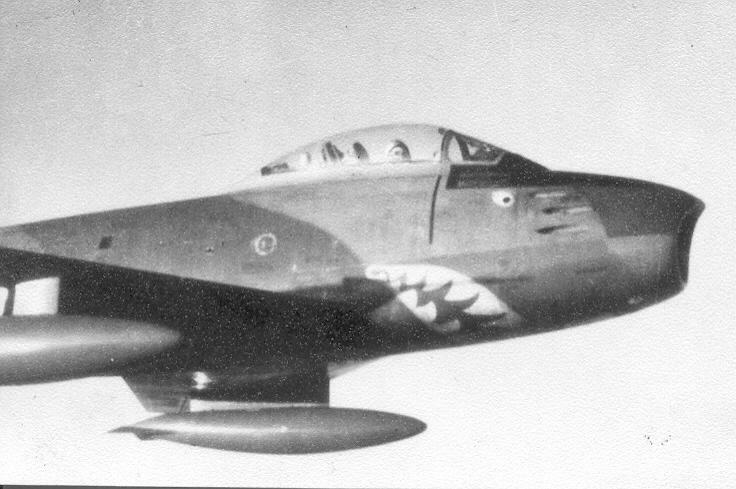 In January 1954 it reverted to the day fighter role when its Vampires were replaced by Sabre F Mk 4s, by which time it had been based at Bruggen since 6 July 1953. 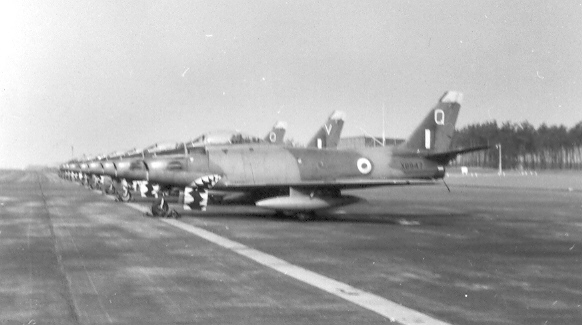 Hunters arrived in April 1956 but just over a year later on 31 May 1957, the squadron disbanded at Bruggen, to where it had moved on 6 July 1953. No 112's next appearance on the order of battle began on 1 August 1960, when it reformed as a Bloodhound surface-to-air missile unit at Church Fenton to defend the Thor IRBM sites in the area. However, its operational base was to be Breighton and it moved there in November 1960. With the withdrawal of Thor the need for this type of unit was reduced and the squadron disbanded on 31 March 1964. However, a new No 112 SAM unit formed on 2 November of the same year, this time at Woodhall Spa, equipped with the Bloodhound Mk 2. The squadron moved to Cyprus on 1 October 1967 and remained there until finally disbanding on 1 July 1975. AVM Coningham during a visit to No 112 Sqn at Gambut airfield on 28 March 1942 to present the newly authorised squadron badge. It is being accepted by Sqn Ldr Clive 'Killer' Caldwell. Formed at Ismailia in Egypt on 1 August 1917 as a Corps reconnaissance unit for service in Palestine. Following the end of hostilities the squadron returned to Ismailia in May 1919, where it was disbanded by being renumbered No 208 Squadron on 1 February 1920. The squadron reformed at Upper Heyford on 18 May 1937 as a bomber unit equipped with Hinds. In April 1938, the squadron moved to the Middle East, where it received Blenheim Is in June 1939. 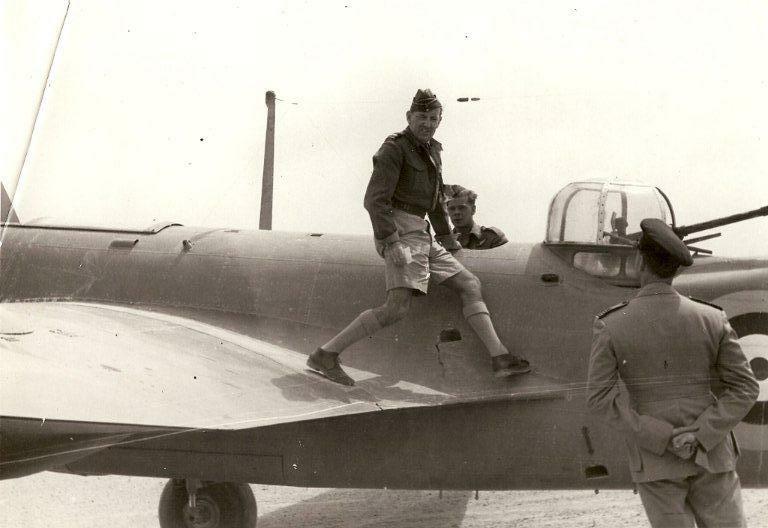 Following the Italian declaration of war on 10 June 1940, the squadron immediately began operations against targets in Libya but in March 1941 it was sent to Greece to assist the Greeks following the invasion of the country by the Italians. 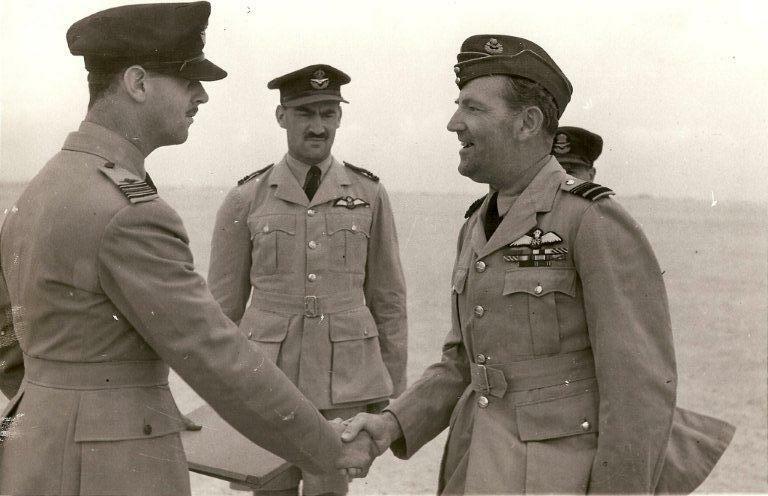 However, by this time the Germans had joined to Italians and the squadron had soon lost all its aircraft, its personnel being evacuated back to Egypt via Crete. Re-equipped the squadron resumed operations in June, but in January 1942 it was sent to reinforce the situation in Burma, immediately carrying out attacks against Japanese targets but had been withdrawn to Calcutta by March. From here it continued its attacks until September 1943, when it converted to Hurricanes, which it used for ground attack missions until April 1945. 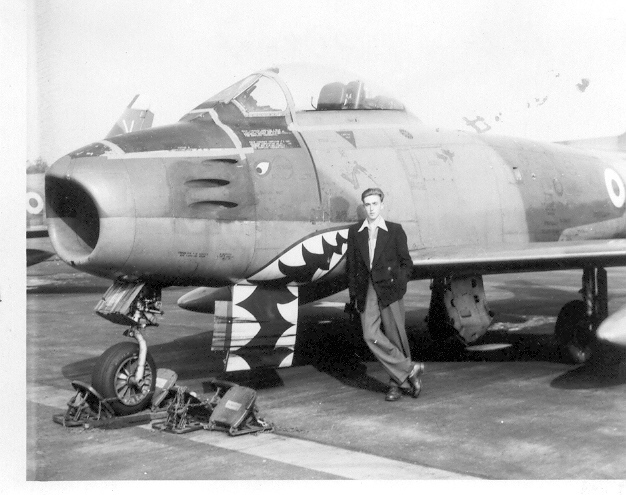 That month it received Thunderbolts, which it used until disbanding on 15 October 1945. The reformed once again on 1 September 1946 when No 620 Squadron at Aqir was renumbered. It was now a transport squadron using Halifax C Mk 8s and A Mk 9s, but disbanded again on 1 May 1947. The same day a new 113 Squadron formed at Fairford, also in the transport role, but equipped with Dakotas, disbanding yet again on 1 September 1948. The squadron's final incarnation lasted from 22 July 1959 to 10 July 1963 as a Thor equipped Intermediate Range Ballistic Missile unit. Formed from a nucleus provided by No 31 Squadron at Lahore on 22 Sep 1917, becoming the second squadron to be based in India and the first to be formed in the sub-continent. Equipped with BE2c and 2e's it operated in support of the Army along the North-West Frontier. Bristol F2B's replaced the BE2c's in October 1919, which it operated alongside its BE2e's until the squadron was disbanded by being re-numbered No 28 on 1 Apr 1920. The squadron reformed on 1 December 1936 at Wyton as a light bomber unit equipped with Hawker Hinds. Blenheim Is began arriving in March 1937, the first squadron to receive the type and was soon fully equipped, these were replaced by Blenheim IVs in May 1939. 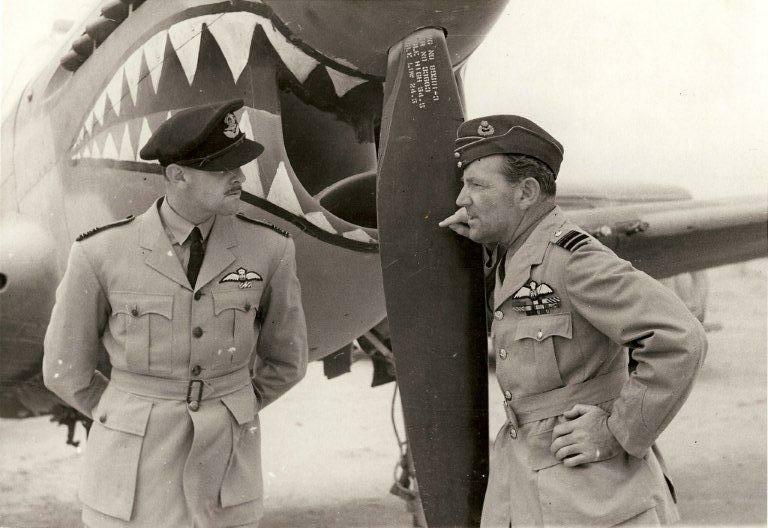 With the outbreak of war, the squadron was allocated to the Advanced Air Striking Force and relocated to France in December 1939. From May 1940, the squadron was involved in low-level operations against the advancing Germans over the Low Countries, but by the end of the month it had lost most of its aircraft and its personnel were returned to the UK. The squadron was quickly re-equipped and it continued operations, now against invasion barges and similar targets from its new bases of Wattisham, Horsham St Faith and Oulton, the last two in Norfolk. In March 1941, the squadron was transferred to No 18 Group in Coastal Command for coastal patrols and anti-shipping strikes from Thornaby and Leuchars. Returning to Bomber Command in July 1941, the squadron continued in the low-level daylight bombing role with its Blenheim IVs and Vs (from Sep 1942) until allocated to Operation Torch, the Allied invasion of North Africa. It arrived in Algeria in November 1942 and continued operations in North Africa until moving to Sicily in August 1943, having received Bostons in April of that year. Operations continued through Italy as the Allied armies advanced up the country, No 114 retaining Bostons until the end of the war. Following the end of the war, the squadron was transferred to Aden in September 1945 and soon began to receive Mosquitoes. However, it was soon reduced to cadre and on 1 September 1946 the squadron was disbanded by being re-numbered No 8 Squadron. The squadron's third incarnation began on 1 August 1947 when it reformed at Kabrit in Egypt as a transport squadron equipped with Dakotas. 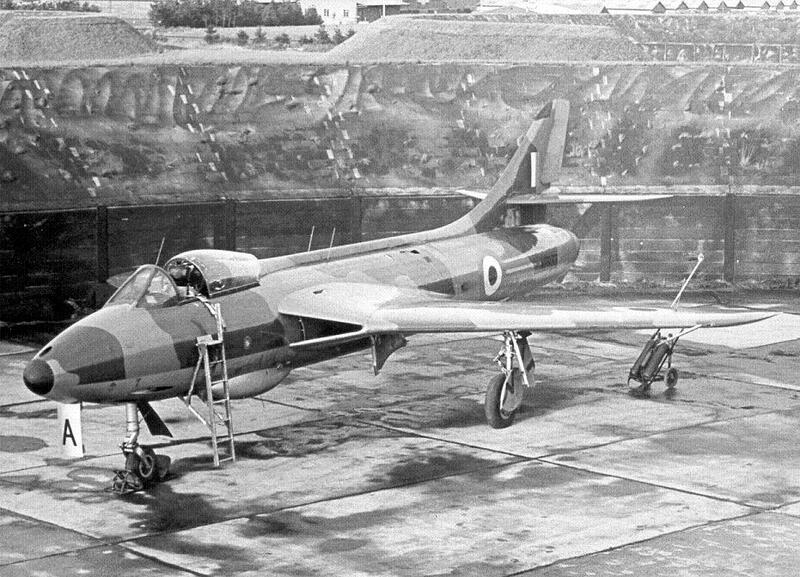 Valettas arrived in September 1949 and it continued to operate these aircraft in the region until moving to Cyprus in March 1956, where the squadron was disbanded on 31 December 1957. 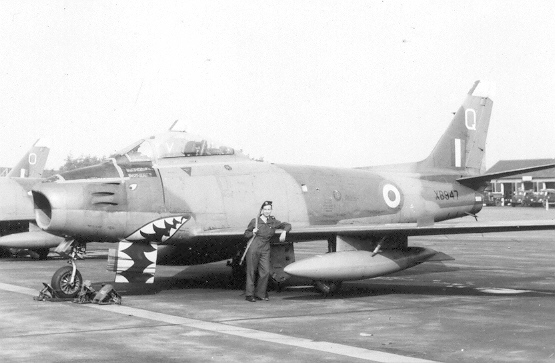 A new 114 Squadron was formed at Hullavington on 20 November 1958 but the following month it moved to Cyprus. It was now operating in the anti-terrorist role equipped with Chipmunks, but its excursion into this role was brief as it was disbanded on 14 March 1959. Two months later on 5 May 1959, it reformed at Colerne, once again in the transport role but now equipped with Hastings aircraft. These were flown until 30 Sep 1961 when the squadron was disbanded only to be reformed the following day at Benson as the first Argosy squadron, although its first aircraft did not arrive until February 1962. With the withdrawal of the Argosy from service, the squadron was finally disbanded on 31 October 1971 and at the time of writing (December 2002) has not been reformed. Formed at Catterick from a nucleus provide by No 52 Training Squadron on 1 December 1917. Various type s were used for training but in July 1918, it received its operational equipment in the form of Handley Page O/400s. It joined the Independent Force in France in September and until the end of the war carried out strategic bombing operations against targets in Germany. The squadron returned to Ford in March 1919 and disbanded there on 18 October 1919. 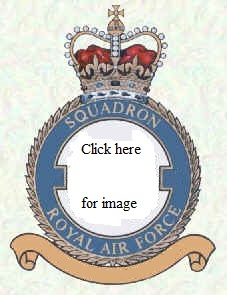 The squadron was reformed as a heavy bomber unit at Marham on 15 June 1937 from 'B' Flight of No 38 Squadron. It was now one of only two units to operate the Fairey Hendon monoplane bomber, but these were soon replaced by Harrows. In their turn these were replaced by Wellingtons in April 1939 and a year later the squadron began operations against German shipping and airfields in Norway and the surrounding waters. 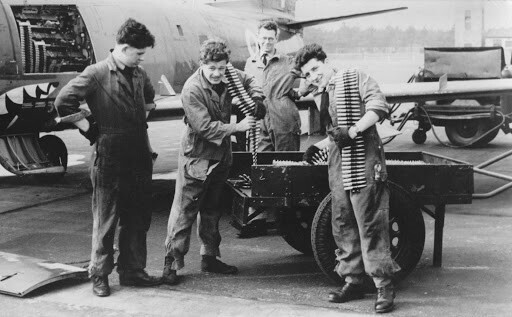 Following the German invasion of France, attacks were switched to targets in Germany, which remained their main area of operations for the rest of the war as part of Bomber Command's Main Force. Hercules engined Lancaster IIs replaced the Wellingtons in March 1943 and these were replaced by Merlin engined Lancaster Is and IIIs in March 1944. The squadron was retained as part of the post-war RAF and received Lincolns in September 1949. During this time the squadron was linked to No 218 Sqn from 1 February 1949 until 1 March 1950, when the squadron was disbanded at Mildenhall. The squadron was soon reformed as on 13 June 1950, it became a Washington unit at Marham, again having No 218 Squadron inked to it. Canberras replaced the Washingtons in February 1954 and continued in use until disbanding on 1 June 1957. The squadron came back on 21 August 1958, when No 116 Squadron at Tangmere was renumbered. It was now a Radar Calibration unit operating Varsities and Valettas. Argosies began arriving in February 1968 and when the last Varsity was retired in August 1970, the unit was solely equipped with this type. Andovers were added in November 1976 and the last Argosy left in January 1978, the Andovers continuing until disbanding at Benson on 1 October 1993, the squadron's role being sub-contracted to private contractors. On 1 October 2008 the Elementary Squadron of the CFS was given the designation 115 Squadron and is now responsible for the training of Qualified Flying Instructors.